One of the biggest Republican lies is that they support the military. 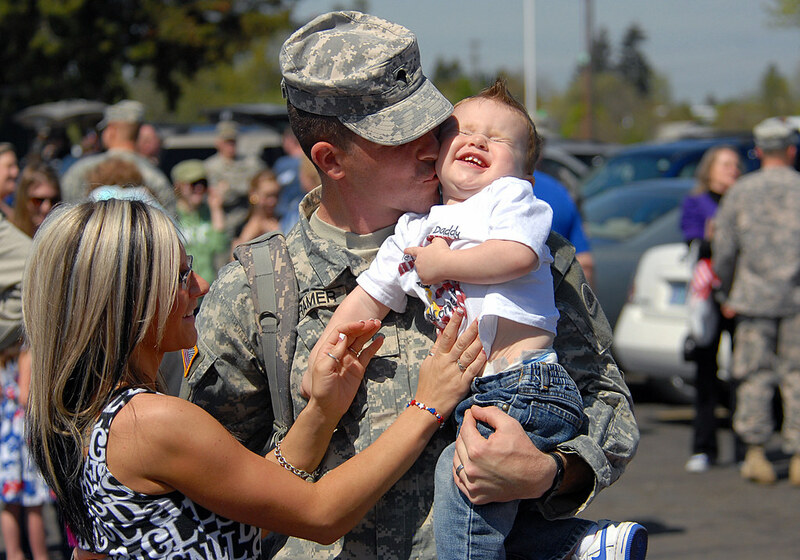 Republicans like to spread around the myth that they are strong supporters of the military, and while it is true that they support military actions (oftentimes without thinking matters through), they have never been supportive of our troops or of addressing their many concerns for themselves and their families. Republican presidents tried to block the Veterans Bonus Bill, which promised a cash benefit to WWI veterans, starting with Warren G. Harding who vetoed the bill and Calvin Coolidge who tried to veto the bill again two years later, but was overridden by the Democrat led Congress. In 1932, a group of 17,000 WWI veterans, known as the Bonus Army, gathered in Washington D.C. to demand immediate cash payment redemption of their service certificates as many of them had been out of work since the beginning of the Great Depression. Under legislation passed with the approval of veterans groups in 1924, payments had been deferred, with interest, until 1945. Republican President Herbert Hoover ordered the U.S. Army to clear their campsite, and Army Chief of Staff General Douglas MacArthur led the infantry and cavalry assault with fixed bayonets and the support of six tanks. Hundreds of veterans and family members were injured, two veterans were killed and more than one thousand people were gassed — including ambulance workers, police, reporters, and local residents. Two infants at the camp also died as a result of the gas. It is noteworthy that a year later when confronted with a similar demonstration, Democratic President Franklin Roosevelt sent his wife Eleanor to greet them with coffee and cake, even joining the vets in a sing-along. “Hoover sent the Army; Roosevelt sent his wife,” said one vet. In 1968, Republican presidential candidate Richard Nixon ran on a platform of ending the Vietnam War while secretly passing word to the Communist leaders of North Vietnam to avoid signing any agreements to end the war prior to the election. U.S. involvement in the war in Vietnam went on until January of 1973, costing the U.S. more than 22,000 additional lives along with untold tens of thousands of Vietnamese lives. Republican President Gerald Ford sent 41 American servicemen to their unnecessary deaths in Cambodia in 1975 during the Mayaguez affair. Republican President Ronald Reagan cut and ran following a suicide bomber attack in Beirut, Lebanon which killed 241 U.S. servicemen in 1983, including the death of 200 Marines. It was the deadliest attack on the Marine Corps since the Battle of Iwo Jima in World War II. This takes us up to President George W. Bush who sent American troops into not one, but two dubious wars waged in defiance of military opinion at the time and with no clear overall objective or exit strategies. Contrasted with all that is the history of Democrats and the military. For instance, in 1936 the Democratic Congress finally gave WWI veterans their promised early bonus through passage of the Adjusted Compensation Payment Act. In 1944, Roosevelt signed the G.I. Bill of Rights, the first such legislation of its kind, which provided WWII veterans college or vocational education, low interest zero down payment home loans and unemployment compensation. In 1952 Truman signed the Veterans Adjustment Act into law, offering benefits to Korean War veterans. In 1966 Lyndon B. Johnson signed the Veterans Readjustment Benefits Act, which further improved benefits accorded to veterans. Even after campaigning to extract the US from the Iraq war so the US could concentrate on fighting our real enemies, Obama continued operations in Iraq until 2011 when it was deemed safe to withdraw American troops. Obama continues to press the war in Afghanistan and has not recklessly withdrawn as conservative myth claims. Currently, troops are scheduled to leave Afghanistan by the end of 2016. 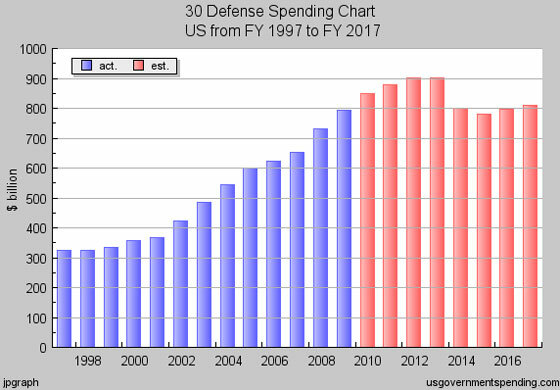 However, looking at the chart below, one can see that military spending has increased steadily since 1997 with projected figures spanning to 2017 expected to rise as well. All things considered, it seems odd that Republicans would continue to promote themselves as the “pro-military” party. And exactly what constitutes victory on their part? Have Republicans been more successful at waging war? Have Democrats refused to go into combat as many Republicans claim? If one wants to take a look, the record is clear. The Republicans cannot point to many real victories in recent decades. Reagan did invade Grenada, a country of less than 150,000 people. George H.W. Bush invaded Panama, but only to arrest Noriega for drug trafficking after a long working relationship with the CIA and other U.S. intelligence and military entities. After failing to prevent the 9/11 attack on the US, the second Bush president attacked Afghanistan and went on to wage a mistaken war to search for weapons of mass destruction in Iraq that did not exist. One should also note that many of the weapons and intelligence the US military had to face fighting in Afghanistan and Iraq were supplied by Republican presidents such as Ronald Reagan. Republicans like to take credit for bringing down Communism in Eastern Europe and the Soviet Union, but that accomplishment is greatly diluted by the fact they effectively gave Korea and Vietnam to the Communists and made friends with the Chinese Communists. Additionally, when Communism did eventually fall in Eastern Europe, the Soviet Union broke with tradition and did not send in the military as they had in Hungary and Czechoslovakia in 1956 and 1968, respectively. Additionally, Eastern European governments did not wage bloody civil wars in an attempt to retain power, nor did the Soviet Union when it collapsed. There simply remains no truth to the right-wing myth that Republicans are pro-military and Democrats are against our military. 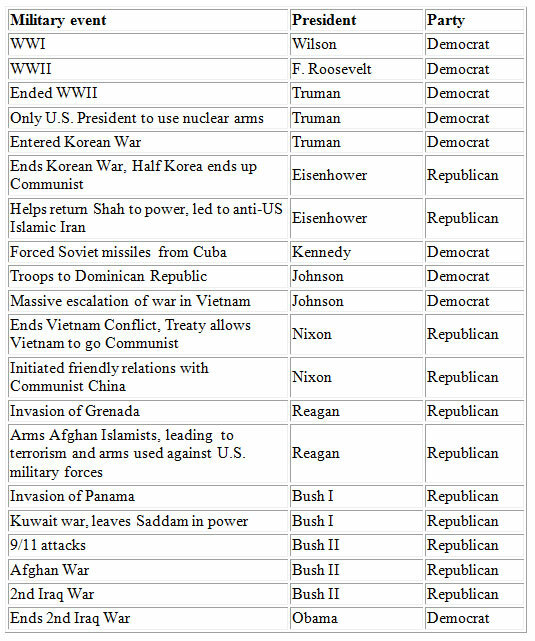 Finally, take a look at the chart below detailing modern warfare along with the recent presidents and party.